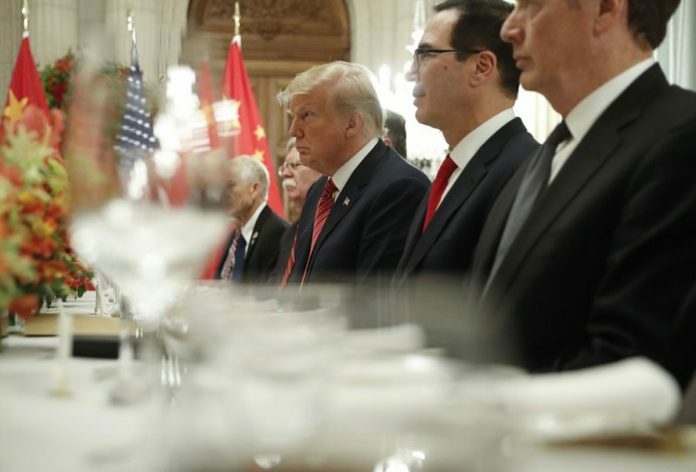 The truce buys time for the two countries to work out their differences in a dispute over Beijing’s aggressive drive to supplant U.S. technological dominance. The Trump-Xi meeting was the marquee event of Trump’s whirlwind two-day trip to Argentina for the G-20 summit. The truce buys time for the two countries to work out their differences in a dispute over Beijing’s aggressive drive to supplant U.S. technological dominance. Under the agreement reached in Buenos Aires, the two countries have 90 days to resolve their differences over Beijing’s tech policies. If they can’t, the U.S. tariff increases will go into effect on the $200 billion in Chinese imports.